Street Closed. Do not enter. 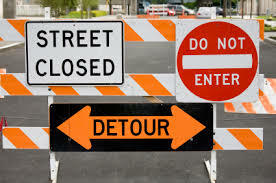 Detour. I’m afraid we may have to take a detour this time around. There appears to be something in the way. Impel Trading Card #30 is Roadblock! The G.I. Joe’s resident gourmet chef is up this week. 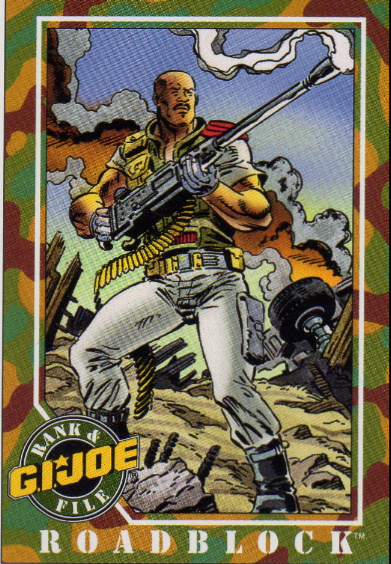 Roadblock was introduced in the comics alongside Duke at the funeral of General Flagg. Cobra tries to attack the mourning Joes with the new Rattler plane, but Duke and Roadblock shoot the plane down. Quite the entrance one might say. In the cartoons, Roadblock is best remembered for being the rhyming cook. His aunt and uncle are introduced in the Red Rocket’s Glare episode, one of the first episodes that come to mind when I think of the cartoons. Roadblock is also featured in 2 of the PSA videos, warning kids about power lines and strangers. In G.I. Joe The Movie, Roadblock – though being blinded by the Nemesis Enforcer – is the only one able to escape from Cobra-La. He carries a mutating Cobra Commander (I was-s-s-s once a man) on his back who functions as his eyes. When they get found by a Joe search party, Cobra Commander is fully mutated into a snake and slithers away. Roadblock then gets his vision back and leads the Joes to Cobra-La where the end battle takes place. 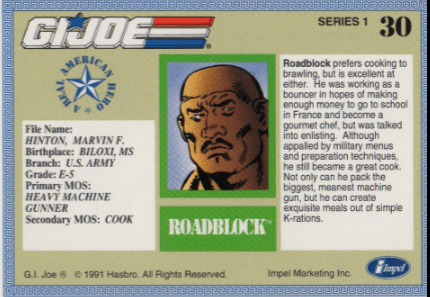 In Renegades, Roadblock is one of the ‘fugitive’ Joes. This time he is bigger and more driver/mechanic than heavy gunner. 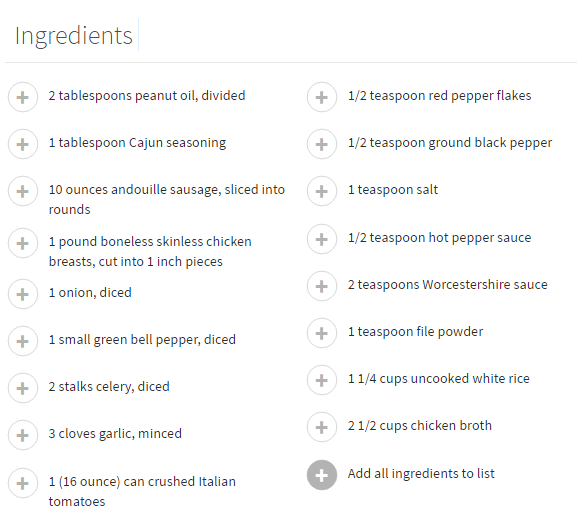 He (luckily) doesn’t speak in rhyme, but still likes to cook. And then there was Retaliation and The Rock… I like to think of the live action movies as slightly better than average Action movies, but not as G.I. Joe movies. Sure they have sort of the same characters (Scarlett and Ripcord, really?? ), but it’s not canon. Kind of like what they did with the Devil’s Due comics, nice stories, but disavowed. Over the years, there have been 24 figures released. The first one in 1984 had orange-brown pants and didn’t look too good if you ask me. The 1986 figure, shows the Roadblock figure in his gray pants and green top that is used in the comics and cartoons. In 1988 and 1993, Roadblock was part of the subteams Tiger-Force and Star Brigade. The last 4 figures have been modeled to resemble The Rock and aren’t bad, but as mentioned above, I can’t see them as being reincarnations of an African-American, rhyming cook that can run around with a M2 Browning .50 caliber heavy machine gun. To end this post, I’ll leave you with the following music video from Stock Aitken Waterman. This song has great vibes and I’d like to think that Larry Hama was listening to this when he created the Roadblock character. Listen for yourself and let me know what you think.